How can we make learning live outside the classroom? Personal Inquiry Projects allow for students to make their learning live outside the classroom by documenting their individual learning path, skills and interests while investigating a topic of personal interest. Ultimately each student will produce a publicly shared digital platform for the purpose of making student learning visible to themselves, and for networking with potential employers, clients, post-secondary institutions or potential contacts in their fields of interest. Each Personal Inquiry Project is guided by individual needs, interests and purposes and can take many forms including a blog, Twitter feed, Instagram feed, Tumblr feed, Facebook feed or website. ReThink students are strongly encouraged to undertake a Learning Portfolio to provide evidence of their ongoing learning. Ryann will be designing and creating a dress that illustrates preventable natural disasters, specifically focusing on the amount of plastic that is found in our oceans. How do students track their own progress? 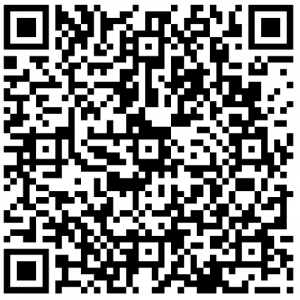 Follow the link to the ReThink Check In or use the QR Code with your phone.